Today's cookbook review comes from our office's stellar RD Rob Lazzinnaro, and for disclosure, Rob chose on his own volition to take Jamie's book out from the library and I asked him if he wouldn't mind writing a review. Jamie Oliver is not only a talented chef but also one of the most outspoken ambassadors for home cooking, healthy eating and getting healthy food into schools. 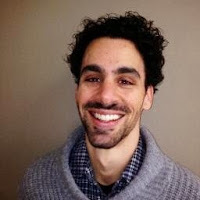 Recent example being his petition fighting for food education and his creation of the food revolution day and campaign. Jamie’s many television shows and campaigns around food in school and getting folks in the kitchen are inspirational, and his first cookbook back in 2000,The Naked Chef, even helped me to tackle new recipes outside of my comfort zone for the first time. More recently, with his good friend Gennaro Contaldo, he helped me rediscover some Italian classics that I had eaten frequently as a child. 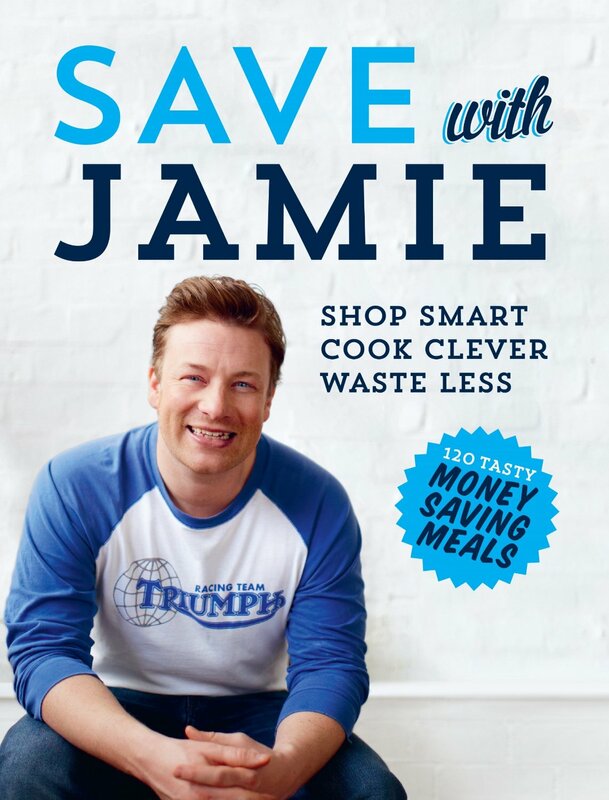 You can imagine my excitement when I ran across his book Save with Jamie, which was published a couple of years ago, while looking for cookbooks with budget in mind. All praise aside: I promise to do my best to review this cookbook as I do any other, without bias and guided by the four questions I ask in reviewing any cookbook. The calorie count per serving is indicated in clear view beside each recipe, as well the book has a five page rundown in the index of the fat, saturated fat, carbohydrates, and sugar for all of the book's recipes. I would have appreciated to see protein, fiber and sodium in the rundowns as they are key when choosing a well balanced recipe. *p.s. Jamie, if you need a consultant for your next book you know who to contact. 2. Are the recipes accessible and well balanced? Absolutely! The general theme of the book is how to save by cooking in batch, cooking with cheaper proteins, using your freezer, and using every last bit of any food item. I give preference to recommending recipes that have a good balance of healthy protein, carbs/fiber, and fats which most of Jamie's dishes achieve. It is worth noting that some recipes may be too calorically dense to be eaten regularly, but all depending on your caloric requirements of course. 3. Is it free from nutrition myths and non-evidence based diet recommendations? It is very important to me that any book providing nutritional recommendations beyond nutrient breakdowns try to do so through a nutrition professional. The author/chef may have good intentions but their advice needs to be guided by evidence. What I love about Jamie’s cookbooks and his general brand is that he focuses on what he does best which is creating delicious and accessible meals, the healthy aspect is that you cooked it yourself from scratch. He does not preach about certain diets or health fads; refreshing. The cookbook sticks to basic cost savings, stretching ingredients, using every last scrap, meal prep & storage, and delicious recipes. 4. Are the recipes engaging and delicious? Absolutely! This is of course where Jamie’s cookbooks shine. All of the recipes have very beautiful and enticing photographs with easy to follow instructions. In Save with Jamie, he essentially pulls and then re creates classically delicious comfort dishes from around the world, which makes for one of his most culturally diverse cookbooks to date. I highly recommended this cookbook as it is a stand out in Jamie’s Collection.